We have seen many Gorilla Glass devices in our previous posts. Now its time to discuss about Gorilla Glass 2. Gorilla Glass 2 has same composition of Gorilla Glass but its 20% thinner. Having Gorilla Glass 2 in your Gadget is huge plus point. I have seen many people carrying iPhones/Samasung Galaxy S II and many other amazing phones with a broken glass. I understand their concern. Even if I am in their position, I would do so. We pay lot for smart phones, when their glass breaks, its easy to manage with the same one instead of buying a new. What do you say ? But with Gorilla Glass 2, there is no need to worry about breaking glass of your Gadget. 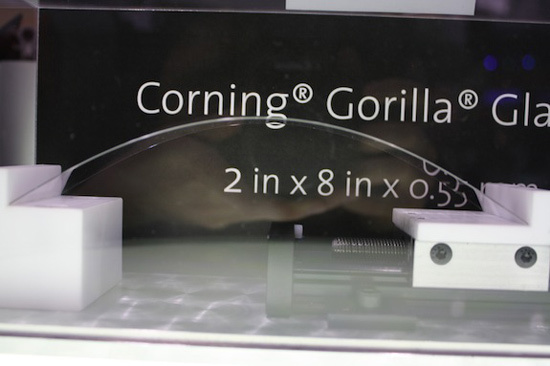 Apart from this, we will have slim,scratch free and bright devices.Check out this video which demonstrates about Gorilla Glass 2 taken at CES 2012.